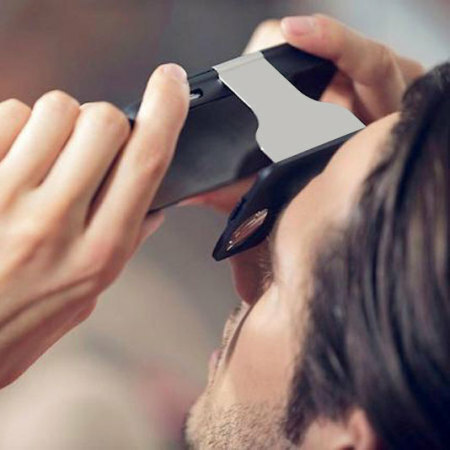 Take your VR Headset anywhere with the ingenious built-in black and silver VR Glasses case for the iPhone 6S / 6 from VR Case. 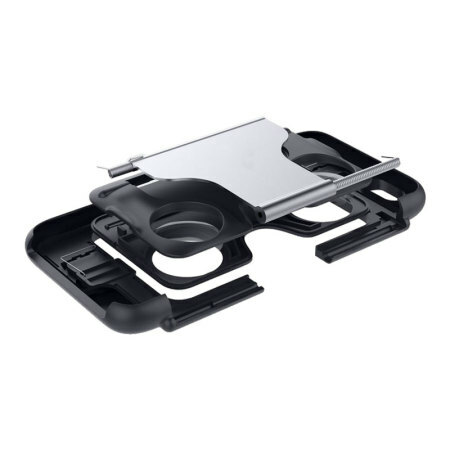 The intuitive folding design is extremely portable, allowing you to enjoy virtual reality, while your phone stays protected. 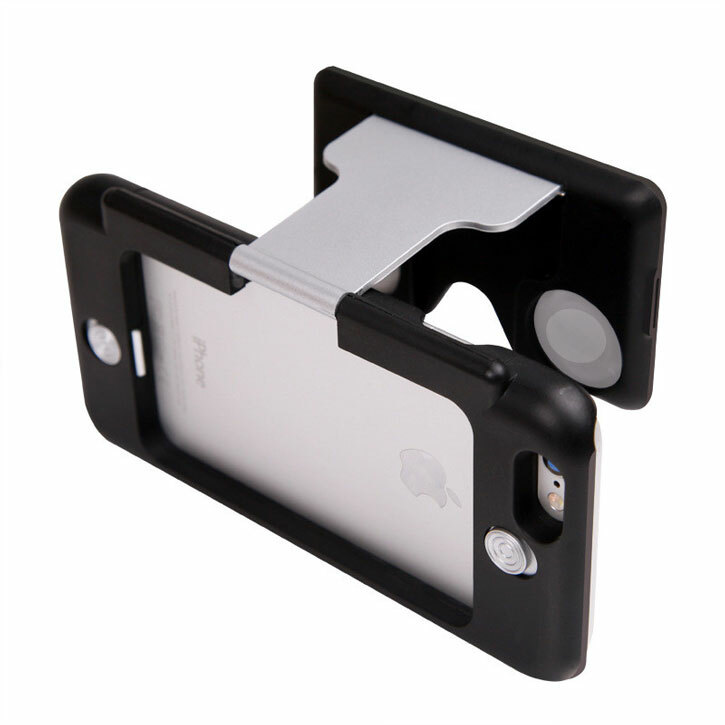 By combining your iPhone 6S / 6 and the Virtual Reality Glasses case from VR Case, you open your world to endless possibilities no matter where you are. Within seconds the VR Case can transport you into a deep, rich and life-like 3D world that will make you believe your right there in the action. With the VR Case you can ride the world's largest rollercoaster, see famous landmarks, play immersive games and even visit your favourite team's stadium, all from the comfort of home. 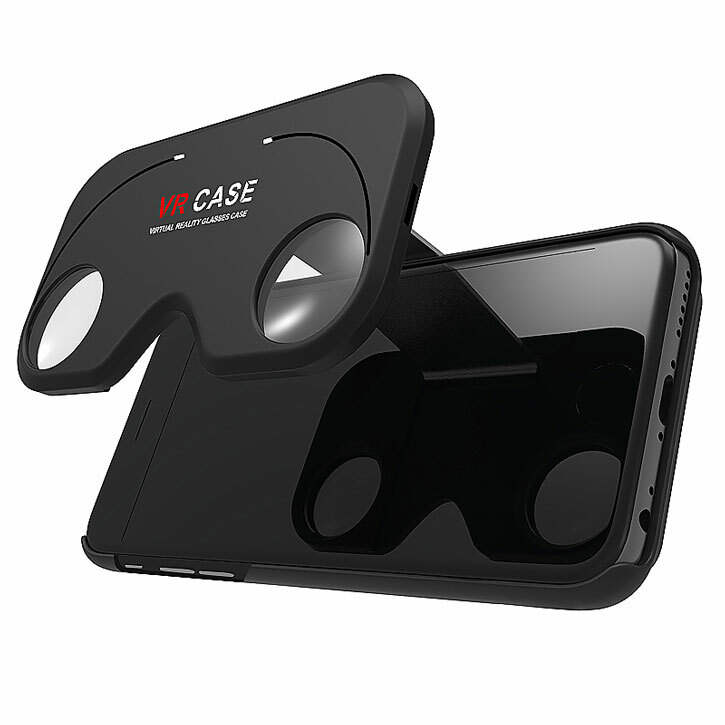 The VR Case's flip out design allows you to instantly transform your iPhone 6S /6 case into a fully fledged VR Headset within seconds. 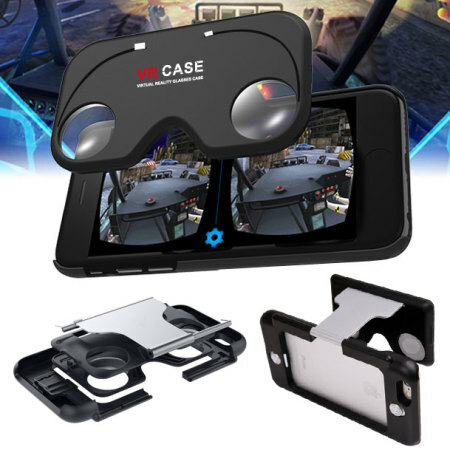 With the majority of VR Headsets being extremely big and bulky, the VR Case's portable design allows you to effortlessly experience Virtual Reality at anytime and any place. Built with high quality optics, the VR Case provides crystal clear visuals that will transport you into new worlds and have you suspending belief in a second. 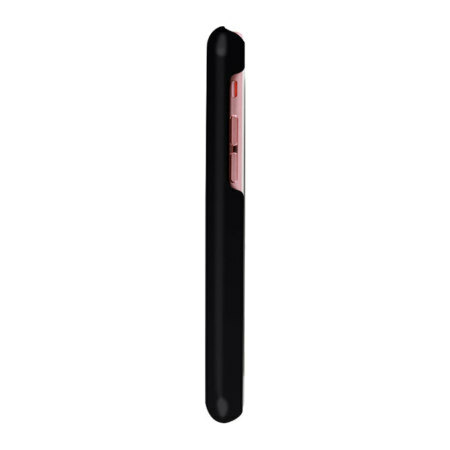 With he VR Case you really will see the whole picture and feel fully immersed within the scene you're viewing. With sliding lens protectors built-in, the VR Case ensures that your virtual reality experience stays superb throughout your cases' lifespan. Easily slid in and out of place, these protective covers maintain the lenses clarity without disturbing your viewing experience when in use. 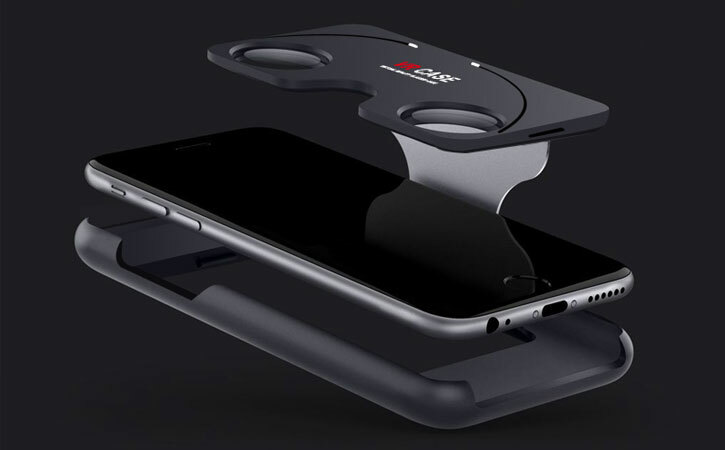 Not just an incredible VR Headset, the VR Case also doubles up as a protective yet slim iPhone 6S / 6 case. This ensures that you'll always have a VR Headset to hand, while your phone stays guarded against the rigors of day to day life. With full access to all ports and features, the Virtual Reality Glasses case from VR Case ensures that your iPhone stays fully accessible while it stays protected.